Style setting trim and decorative hardware from Designers Market adds definition to every room, and every lifestyle, enhancing classic and contemporary design. Quality is paramount to us in our selection of products. 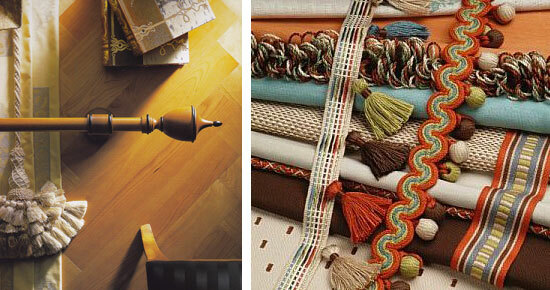 The right trim can be the perfect completion to the design of a room, beautifully accenting the fabrics selected. Our design staff will work with you as you review trims, cords, braids, fringe, bullions, and tassels. A personalized look is always in vogue at Designers Market – decorative hardware is available in a variety of materials and unique finishes.